If you watch my instastories, you will know that I recently bought a handheld steamer from Amazon after a recommendation from the girls at Sheerluxe. I can honestly say it was the best £21 I have spent in a while. I have used it every day without fail, said goodbye to ironing and I will never travel without it. So many of you have messaged me to ask which one I bought, so I thought it deserved it’s own post. I keep it in my dressing room and steam whatever I am wearing that day. It literally takes 3 minutes and you are crease free. It works like a kettle and doesn’t hold much water, so I think of it as a one garment wonder. I recently took mine along on the Max Factor trip to Wilderness Reserve and was very pleased I did as there were a few who needed a little steam before dinner. It’s really light and packs away neatly in your suitcase. I steam everything, even silk. I am sure it might be one of those little gadgets that if used often enough might need replacing, or at least descaling, but I feel like I have already got my money’s worth and it will definitely be coming with me to Greece. Steaming my yellow silk Ridley Maxi Dress. Here’s to a life of crease-free clothes! 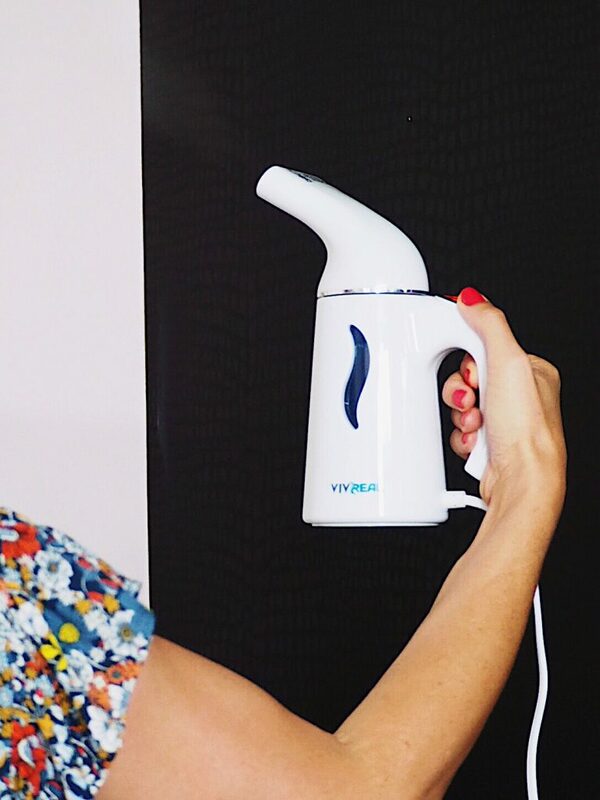 Just read this post and wondering if you’re still as pleased with your steamer. Did it work well abroad?